Whole plant contains compounds that cause dermatitis. See Notes. Can be found as a vine or small shrub. Leaves on glossy, hairy stalks in distinctive groups of three leaflets. 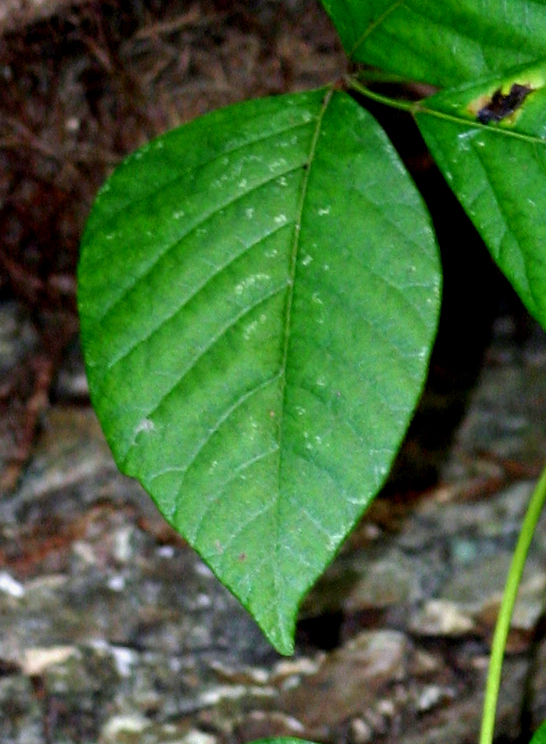 Leaves may be glossy and may have irregular teeth. Flowers and berries are white. Fruits are present August through November. Found in woody areas, thickets, and moist places. Ranges throughout Eastern North America. 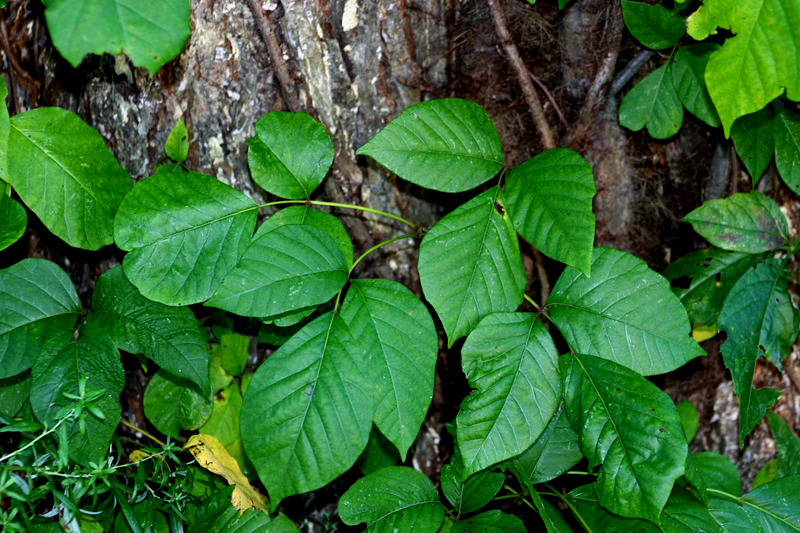 Folk remedies call for rubbing Poison Ivy leaves on Poison Ivy rash or ingesting small amounts to prevent rash from forming. 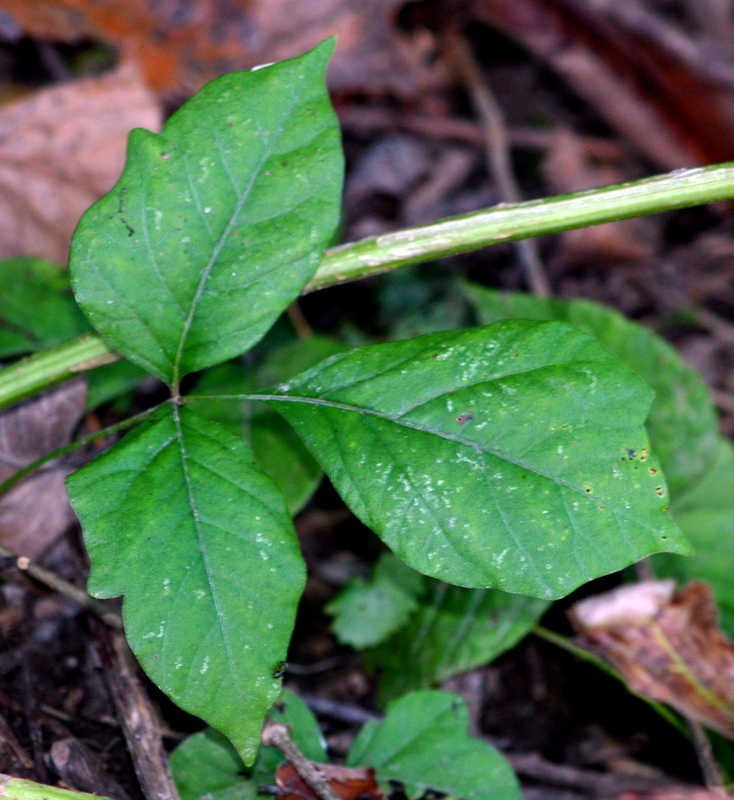 Leaves once used for treating liver disorders. Leaves often cause severe dermatitis upon contact with skin. Internal consumption may also cause adverse effects. Smoke from burning plants cause lung problems. Urushiol is the active ingredient. Dried plant specimens more than one hundred years old can still have dermatitis effects.